Marjolein (Enkhuizen, Netherlands) on 24 March 2019 in Animal & Insect and Portfolio. 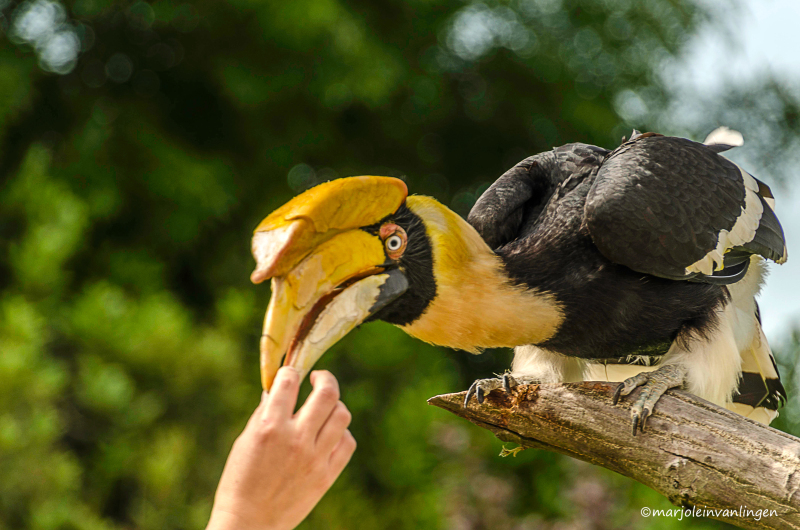 The double hornbill is one of the larger hornbills. The species has a maximum wingspan of about 1.5 meters with a tail of about 90 centimeters. @fotorantje: Dank je An, leuk dat je langs kwam! I just love the colors and the feathers. That looks like a lot to carry around on his head. Cool bird. Doe mij die andere maar ;-) Prachtige bokeh! !